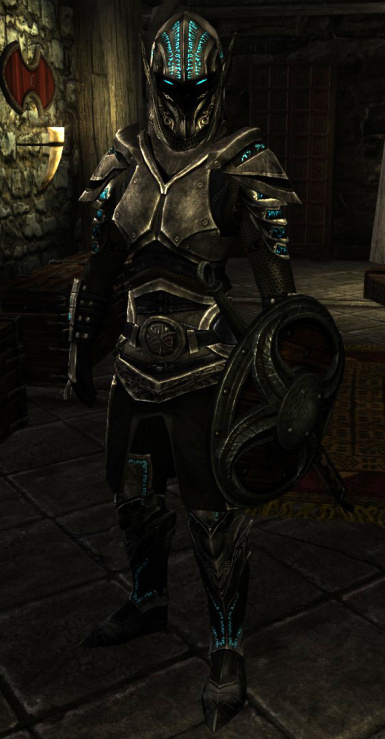 This is a standalone version to the Telthalion's Witchplate Armor mod. 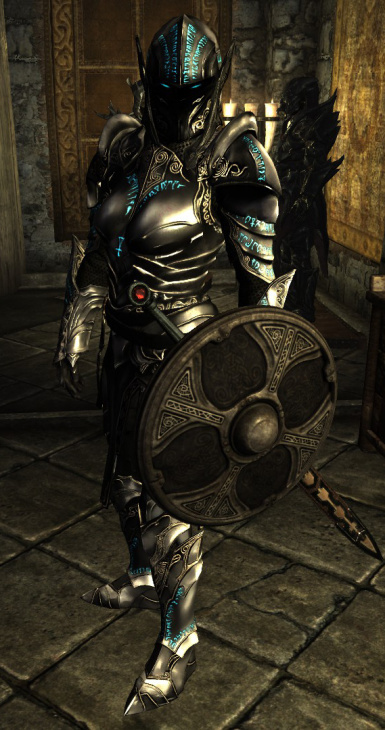 Telthalion has stated on his Withcplate armor mod page that his content is free to edit without additional permission because he is not currently working on Skyrim mods. 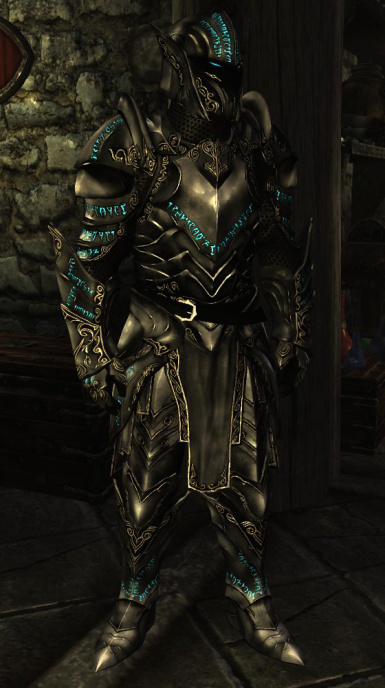 Thanks to Telthalion for his great work on the Witchplate Armor. If the WitchplateForIA.esp does not work for you (crashes the game etc. ), use the basic Witchplate.esp instead. 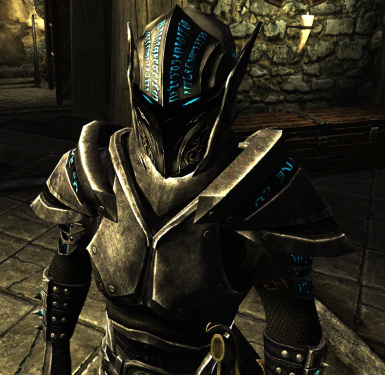 This mod replaces the armor meshes with slightly altered ones and adds a completely new helmet to the mix. You can craft the armor once you have the "Arcane Blacksmith" -perk. The recipe is found under Steel -category and is considered steel armor for game rules. The protection value is that of between Orcish and Ebony for heavy and between Scaled and Glass for Light. 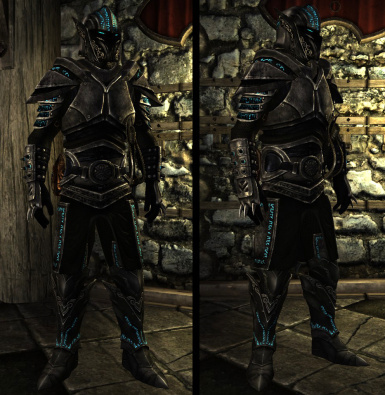 The helmet is craftable only, and should be found under the "Auxiliary Armors" -tab. Requires Advanced Armors -perk. Craftable under ebony category. Requires the crafting perk of Witchplate + Ebony Smithing. First, download the mod, (and immersive armors mod if you want) and install that. Manual installation is done by locating the Data -folder tree, and unpacking it, and all the contents in it, to: ".../Steam/SteamApps/Common/Skyrim/" and clicking "yes to all". Enable the Withplate.esp or WitchplateForIA.esp (for Immersive Armors user) from skyrim launcher under the 'data files' -tab. NEVER USE BOTH AT THE SAME TIME!